Pradhan Mantri Shri Narendra Modi has given New Year sops to several sectors including farmers, senior citizens, medium and small scale enterprises and people with low income. He has extended the benefits on home loan interest to the people with lower incomes by providing rebates of up to 4 percent on home loan taken under Pradhan Mantr Awas Yojana. Let?s go through with the highlights of the scheme and the new rebates announced by PM on New Year?s Eve. What is Pradhan Mantri Awas Yojana (PMAY Urban)? 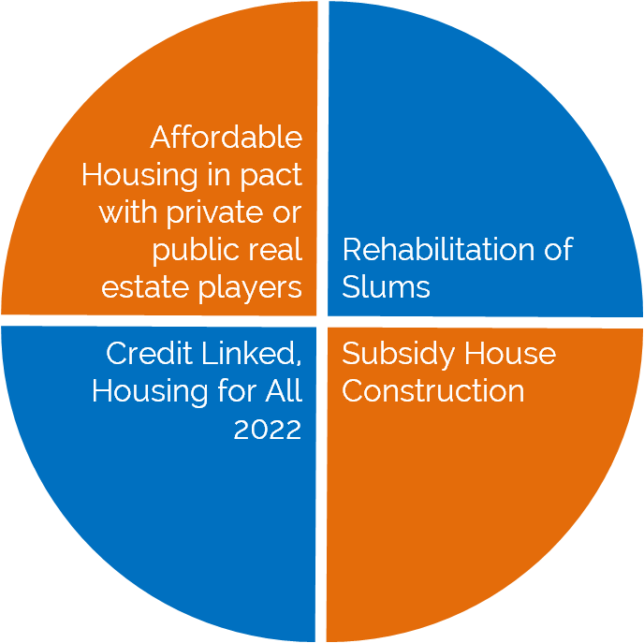 ?Housing for All by 2022? ? To ensure that families belongs to lower income groups (LIG) and Economically Weaker Sections (EWS) shall get shelter by 2022, Government of India has launched a scheme ?Pradhan Mantri Awas Yojana? in which home loan is provided to the LIG and EWS at concessional rate of interest of 6.5 percent per annum for tenure up to 15 years. There are few criteria which one should met to be eligible for concessional home loan under PMAY. Beneficiary should not own a pucca house either in his/her own name or in the name of any of his/her family member in any part of India. In simple terms the beneficiary should be first time home buyer. Here family members comprise husband, wife and unmarried children. Pradhan Mantri Awas Yojana is for lower income groups (LIG) and Economic Weaker Sections (EWS) people. To be eligible for PMAY Income in case of EWS should not exceed Rs.3 lakhs per annum while in case of LIG income should not exceed Rs.6 lakhs per annum. The carpet area of houses being constructed under Pradhan Mantri Awas Yojana should be up to 30 square metres of EWS and 60 square metres LIG category. Further, the loan could be for buying, constructing or renovating of house including addition of rooms, kitchen, toilet etc. to existing dwellings as incremental housing. Thus if your income is less than Rs.6 lakh per annum and you are married and residing with your parents then you are eligible for home loan at concessional rate under pradhan mantri awas yojana. There are three criteria under which one can avail benefit of home loan interest. Loan Amount up to 6 lakhs: If the Home Loan amount is up to Rs.6 lakhs then interest on home loan will be charged at concessional rate of 6.5 percent per annum. Here the rate of interest is fixed at 6.5 percent per annum i.e. no effect of RBI rate cut or hike is going to impact the interest amount or EMI. Loan Amount up to 9 lakhs taken in 2017 (NEW): If home loan amount is up to Rs.9 lakhs then the beneficiary will get home loan interest subvention of 4 percent per annum. This means if the prevailing interest rate is 9% then the home loan will be provided at 5% interest rate. Loan Amount up to 12 lakhs taken in 2017 (NEW): Similarly, if the home loan amount is up to Rs.12 lakhs then the beneficiary will get home loan interest subvention of 4 percent per annum. This means if the prevailing interest rate is 9% then the home loan will be provided at 6% interest rate. Rural Areas: Government has also sanctioned interest subvention of 3 percent for the neo middle and middle class in rural areas for loans of up to Rs.2 lakh taken in 2017, for new housing or extension of housing in rural areas. The tenure of the home loan shall be maximum of 15 years and no default is to be made from the beneficiary side to avail the subsidy benefit. In case the home loan amount exceeds R.12 lakhs then the reduced interest rate shall be applicable only up to Rs.12 lakhs and on remaining loan amount prevailing interest rate shall be applied. Illustration: If home loan of Rs.15 lakhs is taken at 9% interest rate for tenure of 15 years then the interest subsidy of 3% would be applied on Rs.12 lakhs and on remaining Rs.3 lakhs interest rate of 9% is applicable. The subsidy would be credited upfront to the beneficiary loan account resulting in reduced EMI. If you fulfill the above criteria of PMAY, then kindly visit PMAY site and submit application in Format-A if you are slum dweller or in Format-B if you belong to EWS or LIG category. You will be given a reference number once you submit the application for future reference. You can also track whether you will be awarded a house under PMAY or not. You can also visit Common Service centers (click here to locate CSC center nearest to you) or can apply through any ?State Land Nodal Agency? designated by the State Governments for implementing the Mission. Once you are allotted a house under PMAY you can choose to avail subsidized home loan through any Scheduled Commercial Banks (like SBI, BOB, PNB, ICICI Bank etc. ), Regional Rural Banks (RRBs), Housing Finance Companies, Urban Cooperative Banks, State Cooperative Banks or any other institutions as may be identified by the Ministry. I,am maintaining a house loan at corporation bank. Is there any scope to convert my loan to PMAYJ ? 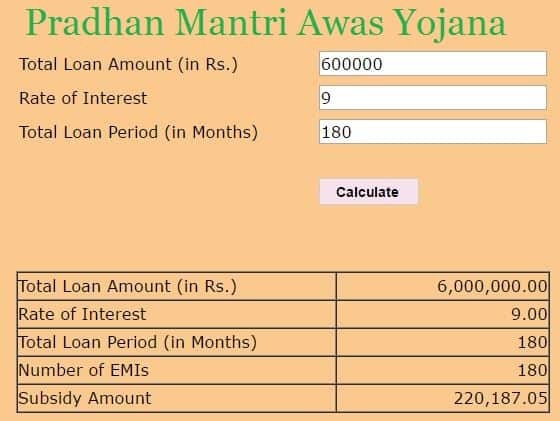 how to get “Pradhan Mantri Awas Yojana” loan in 4%. how to get “Pradhan Mantri Awas Yojana” in 4%. Please contact us soon and we will contact you for your wishes. Fast clarity and a good one for you. Wait no longer, but grab this solution with both hands. I am a private tutor ,but have an IT of 200000/annum for last three years .our family in come is 30000pm. I have a joint savings account with my son at SBI rahara station rd branch kol118. I have parchesed a plot of 1.5 Katha bastu land at Hooghly BANDEL gram panchyet area but zilla porisadh approved. I presided in rent at sodepur area .I take an education loan from SBI amount of 204000approx on December 2015 and repay Rs4700pm by ecs from January 2016. My son is a reg diploma pharmacist in wb.and continuing B pharm final year . As we have no personal home we want to construct a house in my plot at BANDEL by taking home loan jointly with my son for 20 years. Can get home loan ? Plz help. I have already home loan on flat in 2016, that loan can be converted in PMAY subsidy or I can apply for new home loan that will be come in PMAVY subsidy. Please kindly let me know how to get this benefit as I am staying on rent. Thankyou. I have made a house in semi urban area on 2015 by help of UBI housing loan. I am working in a one of Private Educational Institution and came under EWS. My annual income is presently Rs.1,92,000/- only. And I have been faced too much financial problem to pay the EMI to bank. My family members are four me my wife and two children below 18 years. So, Can I get any benefit from PMAY deemed by the PM Shri Narendra Modi Sir. I taken a home loan of Rs.12 lakhs on 31.01.2017 from canara bank for 20 years. My yearly income is Rs.2,75,000 net. but still bank not providing me 4% rebate on my loan. please give the suggestion how can I take the benefits from bank. 1) Can I purchase a Flat or House in any area (Urban or Rural) area? If yes, will I have to produced any residential certificate? 2) Can I purchase resale Flat or House in this scheme? 3) Can I get interest subsidy on loan amount upto Rs. 12 lack? An reply in the matter is solicited. Sir i would like to buy a new home i want to a loan of 500000 how to apply is it applicable for constucted homes..
Pls tell me if the scheme is applicable, if I have taken loan of 10 lakhs from PNB Housing. Finance in December 2016. I was unaware of the scheme. Kindly revert. Will it applicable to existing home loans? ???? property NA ???? ?? ?? ???? ???? ?? ????? ?? ??? home loan ?????? ????? Sir, muze (Rural Areas: Government has also sanctioned interest subvention of 3 percent for the neo middle and middle class in rural areas for loans of up to Rs.2 lakh taken in 2017, for new housing or extension of housing in rural areas.) ye rule ke against loan lena hai. muze ye loan mil sakta hai kya ? me konsi bank se ye loan le sakti hai. & konsi document ki jarurat hai. Sir maine jan 2016 me Rs. 11,22,000 .ye Amount ka loan leke home liya hai .kya mujhe Ye YOJNA ka benefit miega kya ? Jaise hi aapko reply mile ya subsidy ka amount mile pls mujhe mail kariye. taaki main bhi try karoo. maine to sept. 2016 me liya hai. I have taken loan of Rs.10 Lacs and applied for subsidy. My loan payment disbursement is made on 05.01.2017. Subsidiary declares but Bank say we have not get any official notice ,so please confirm the effective date…. I have taken loan of Rs.12 Lacs and applied for subsidy. My loan payment disbursement is made on 04.01.2017. Please clarify how can i get the benefit of new annowancement i.e. the calculation of interest subsidy of 3% would be applied on Rs.12 lakhs. sir, mene 2016 me loan leke row house liya he ,kya mujhe koi madat mil sakti he kya. KINDLY TELL ME THAT THIS SCHEME IS APPLICABLE ON EXISTING LOANS OR NOT?